Lagoon is dedicated in honour of Ian Dipple, a world champion water skier who was killed in an accident in November 1999. 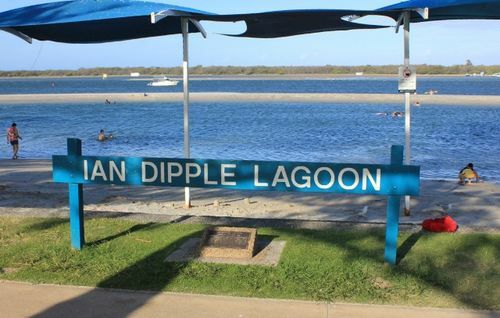 This lagoon was named after Ian Dipple, in honour of the world champion water skier, who was tragically killed in a skiing accident in November 1999. One of his greatest achievements was winning the Sydney bridge to bridge race with the use of only one arm due to a tendon injury. This area is where Ian spent most of his time training and racing as part of his 20 years of tireless dedication towards the sport of water skiing.